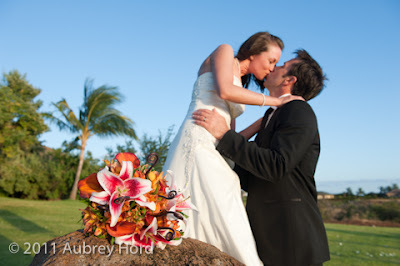 Congratulations to Brooke and Stan on their beautiful Maui wedding at the spectacular Serenity by the Sea luxury estate in Launiupoko yesterday. 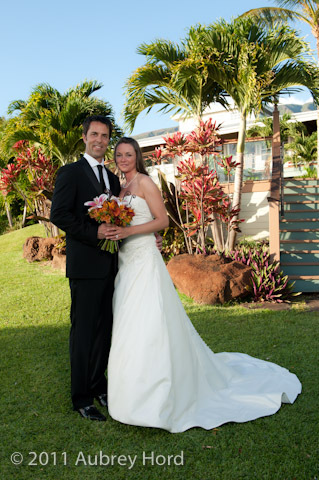 The Colorado couple exchanged vows with Reverend Pia Alului on the grounds of the private estate overlooking the Pacific ocean with the spectacular West Maui mountains behind them. 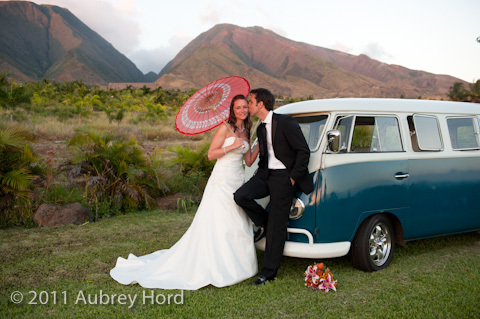 We even brought a vintage VW van out to the wedding site (thanks to AnnaMarie!) 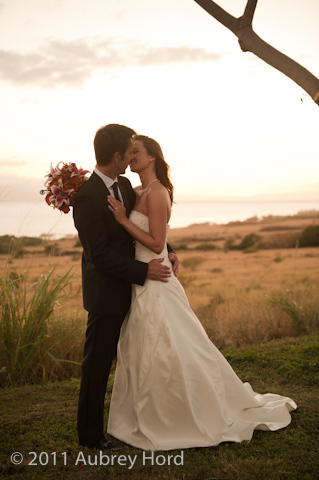 to surprise the couple and it fit perfectly with Stan's sharp looking black suit. 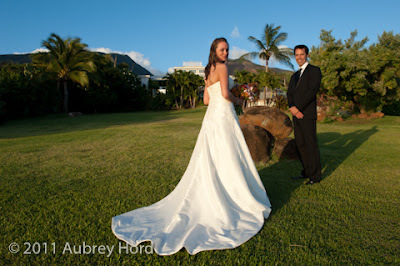 We raced down the hill after our formal shots and caught the tail end of the romantic Maui sunset. 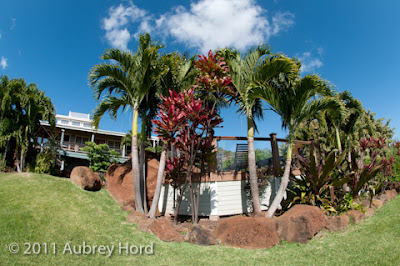 The estate is just incredible with 360 degree views of the ocean and the West Maui mountains and it provides a photographer with any number of places to shoot and angles to capture. We had fun with the fisheye lens as you can see! I think Brooke was the the calmest and most elegant brides I have ever met even though she said she was totally nervous. 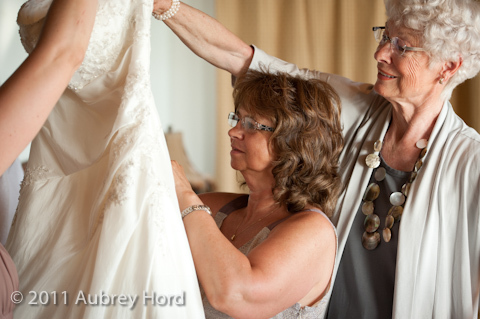 She was stunning in her corset gown with buttons running down the train and a beaded bodice. 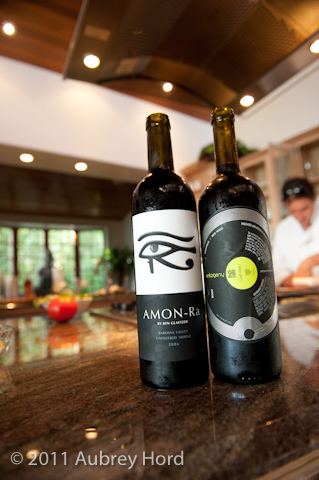 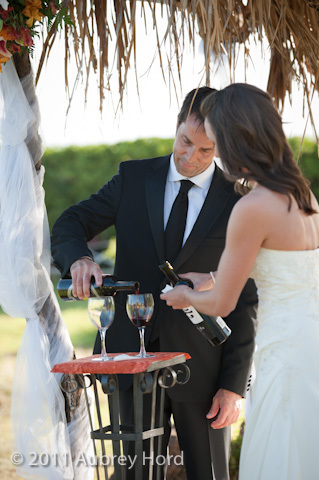 The couple loves wine and decided to combine their two favorite red wines during the ceremony to celebrate their nuptials. 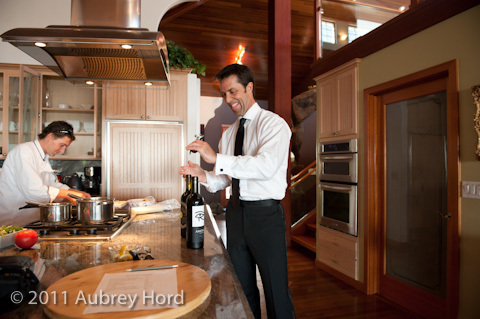 As Brooke was getting ready in the large ocean view bridal suite, Stan was busy uncorking the wines to let them breathe before the intimate ceremony. 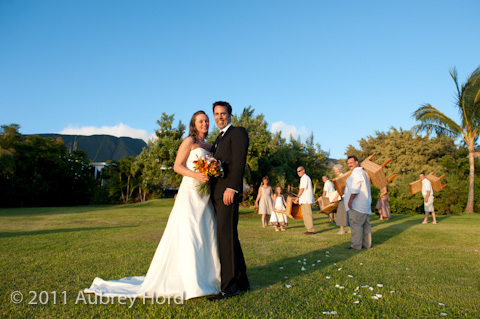 One of the most hilarious parts of the evening for me was to see Brooke and Stan's family carrying off the chairs from the wedding ceremony site back up to the house as we were finishing up photos on the property. It was like they were breaking down the set all around us. 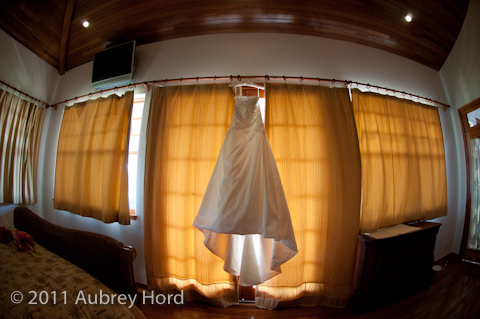 I just had to take a photo (above). 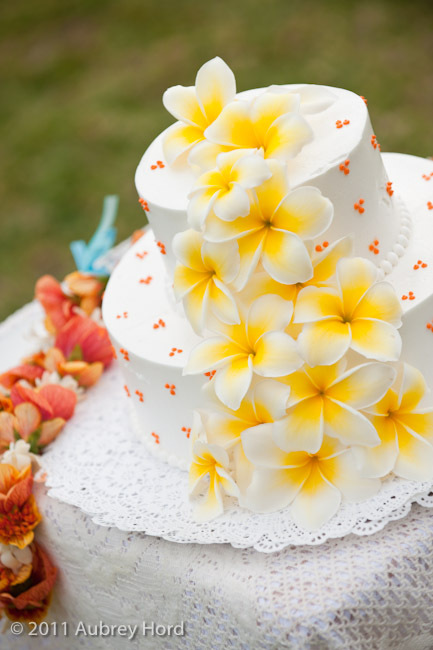 So congratulations Brooke and Stan on a totally fun Maui wedding with more photos to come after your special Rock the Frock session this week! 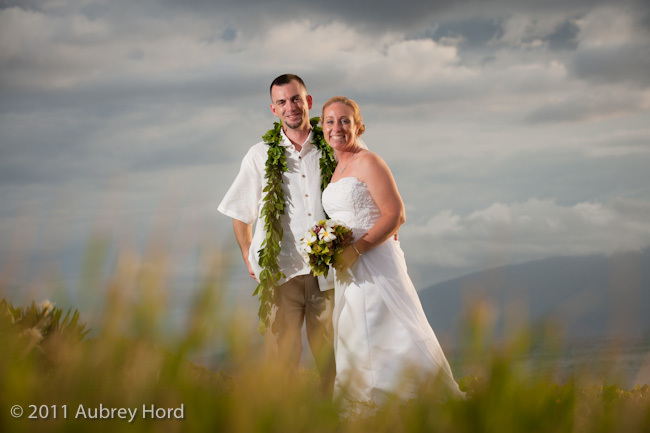 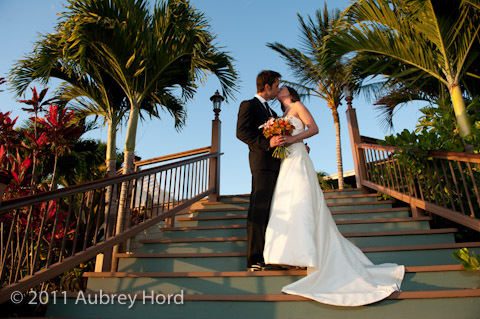 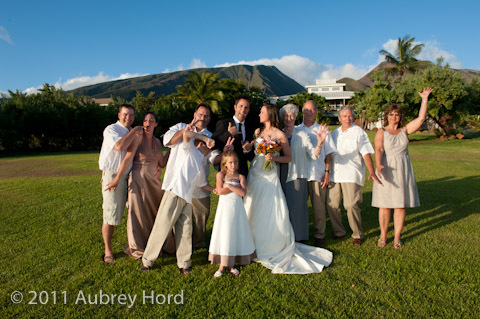 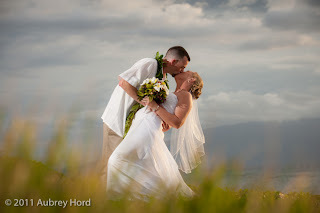 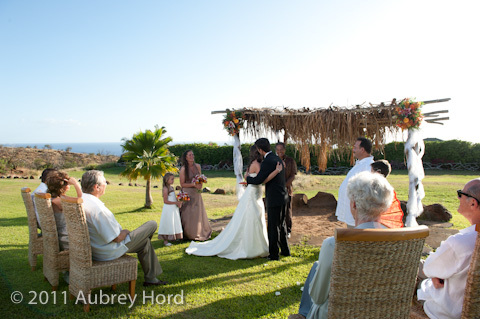 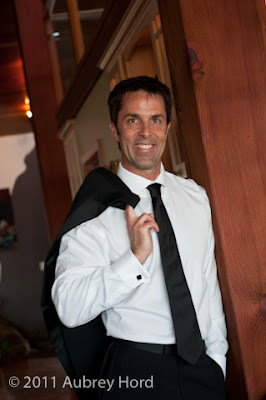 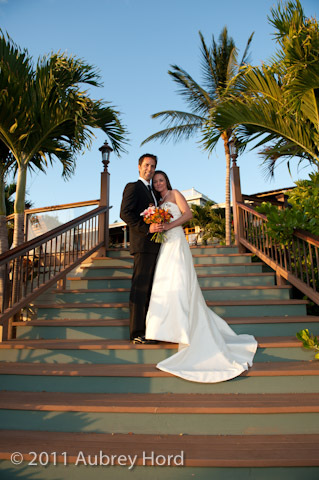 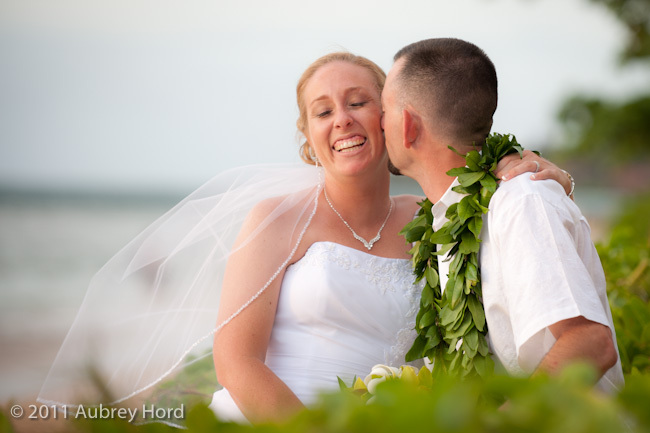 Thank you so much for inviting me to capture your Maui wedding!